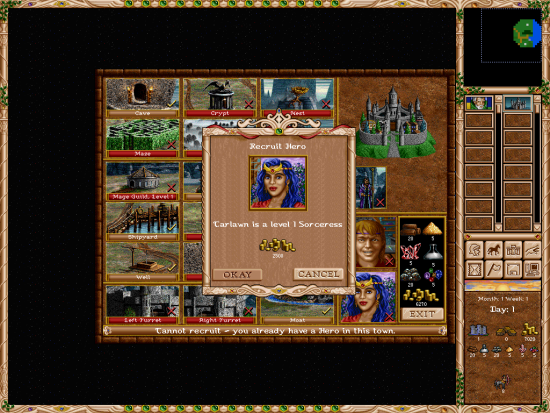 As a port of 1996's Heroes of Might and Magic II, Free Heroes 2 is positively dripping in nostalgia for those that were gaming on their PC's two decades ago. It's no World of Warcraft, but you can definitely see the influence of the Heroes franchise in the newer MMO titles. Free Heroes is an open source SDL port of the classic game, and it maintains the same visual style and gameplay while being installable on a much wider array of hardware. 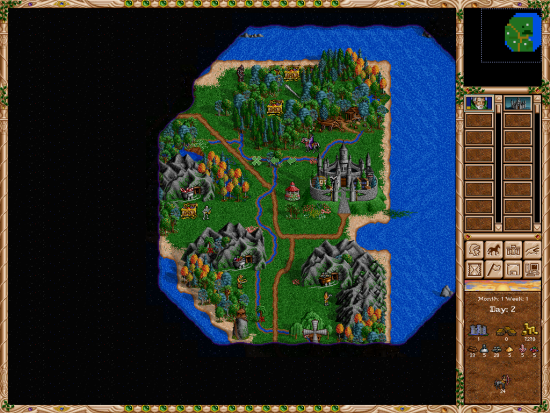 If you're note familiar with Heroes of Might and Magic, prepare to be mesmerized. It takes place a long time ago in a distant land, where the kingdom has become corrupt and split in two. You are on quests of danger and excitement. Starting to sound familiar? Your character choices in Free Heroes 2 are the classics (we're going to use that word a lot, get used to it): warlocks, sorceresses, ogres, and knights. Your quests can help you gain all sorts of newness, from tools to knowledge and strength enhancements to defeat the increasingly powerful foes that want to beat you up and take your things (i.e. treasure). Navigation is accomplished on a map that shows the extent of your exploration, centered on your castle safe. As you move out the map expands to reflect where you have gone and what you have seen. At the castle you can purchase items to defend yourself and the castle, with green being things you can buy and can afford, brown being thing's your eligible to buy but lack the gold to actually purchase, and red indicating items that are beyond your grasp in level. Some items even have additional improvements on top of their default characteristics. For yourself you can purchase weapons, armor, potions and the like, while your castle can be improved with turrets, moats, shipyards, and other homey touches. Across the map are mountains, caves, rivers, and other geologic features, but your foes. Tapping on those people gives you a better idea of what they can dish out, and how you'll be able to handle it. Generally the more loot they've got around them, the stronger you can expect them to be. Bigger fight, bigger reward. Some guys we wouldn't recommend against coming back to without an army of your own. As you're seeing, the graphics for Free Heroes aren't exactly state-of-the-art - as we said at the outset this is a port of a 16-year-old game from another time, back with the 1024x768 screen on the TouchPad would have been considered to have very high resolution. As such, the graphics aren't quite what you'd expect from a more modern game. 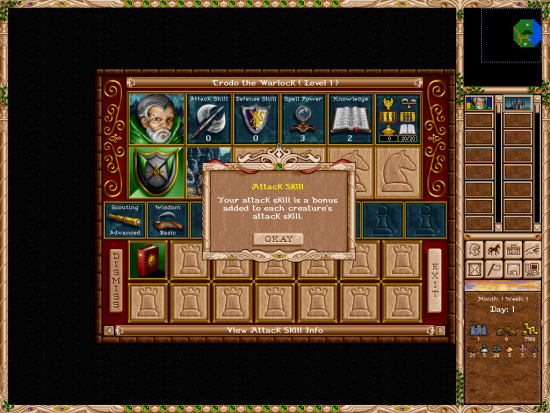 But that's part of the charm and nostalgic draw for Free Heroes - it takes us back to 1996 and our marathon Heroes of Might and Magic sessions. Speaking of those marathon Heroes sessions, Free Heroes 2 on the TouchPad actually supports the old files from the game, so if you create a fheroes/data folder on your TouchPad you can throw in your old .AGG file and pick up where you left off the last time you played. 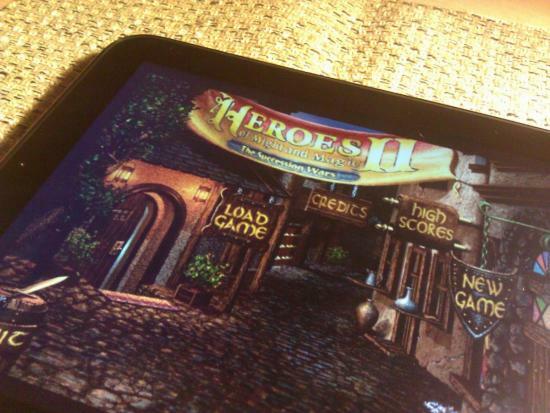 Free Heroes 2 isn't World of Warcraft for the TouchPad, and we wouldn't want it to be. It's a classic game with a massive nostalgia factor that we just can't ignore. And it's free, which we'll never argue with. Our only real qualm would be that the old campaign mode isn't yet supported, though the developer won't turn down any donations to make that happen. For a trip down gaming memory lane, we just can't say no.